Compliment your dress or outfit with stunning shoes and accessories from local, national and international designers. Something Blue houses a luxury collection of hand-made wedding shoes by designers Charlotte Mills and Benjamin Adams. 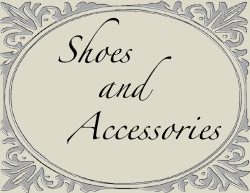 We are proud to stock a fabulous range of bridal accessories, which includes an extensive collection of bridal headpieces, jewellery, shoes, veils, stoles and belts sourced from the finest designers to complement our collection of gowns.